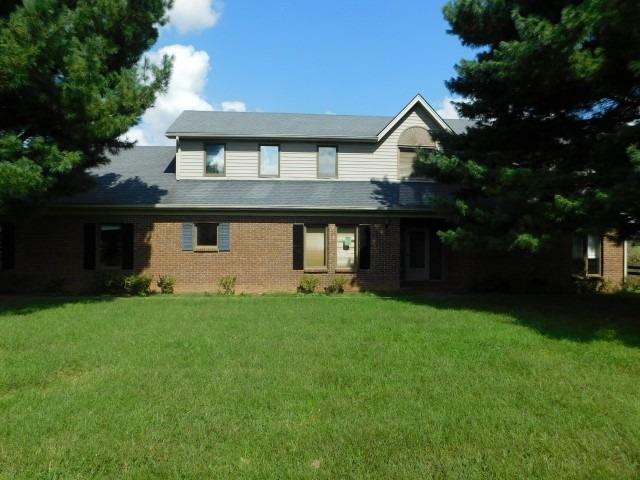 This 3 bedroom 2.5 bathroom brick and vinyl home is located on 15.10 acres. From the 1.5 story design you will also find a living room, kitchen with hard wood flooring, home office room, and a huge 3 car attached garage. Take a look at the master bathroom and the heart shaped tub! Looking for a starter horse farm? A short trot down the lane and you will find a 4 stall horse barn complete with loft and tack room. Call today to schedule your appointment!